 Jim Chatwin has done fantastic photos for me on several occasions through the years. His wife Randi is a wonderful Makeup Artist as well. I would recommend them to anyone!! Jim is the best, he makes you feel comfortable & gives you great direction. Jim & his wife Randi, who is the Makeup Artist make a great team. I look forward to working with then again. superb!! His wife Randi is a wonderful Makeup Artist and touched everyone up as needed. Jim & Randi are a great team, we look forward to our next family shoot.